It is estimated that there are over four billion internet users online!! Four billion people every day checking their facebook page, reading blogs, searching for information – looking for products. Every single one of those users needs something! What if there was a way that you could find out what it is that they need. If you could find out what it is that these people are doing on line, what they are looking for you could, for a small fee, service or satisfy their needs. Let’s say, (just for example), that these 4B people need shoes (and, well, they do). Now, you most likely are not a shoe manufacturer so you’re thinking “so what? I can’t build shoes for them. There is no way that I can help these people.’ Well, That’s what affiliate marketing is all about. Large companies including Nike, Adidas and Asics all have affiliate marketing programs. (sticking with the shoe example) These companies invest millions of dollars in equipment, materials and people to make shoes. The more shoes that they can sell the more money that these companies can make. It only makes sense to sell as many shoes as possible. As with any large manufacturer, selling more is better. Traditionally, these manufacturers sell large quantities of shoes to wholesale companies who in turn resell to sales outlets like Walmart, Macy’s or Sears. There is a new trend in the world, just in its infancy! People (4,000,000,000 of them) have started to purchase items online. This is where affiliate marketing comes in and how you can make money on line!!! Almost every manufacturer, department store and supplier offers an affiliate program. You simply go to the website, scroll to the bottom of the first page and click on the affiliate link. Follow the sign up procedures and you can begin to promote the product. Every time someone buys a pair of shoes from you, the company sends the product to the buyer and sends you a commission! You don’t need to be a manufacturer, you don’t need to invest millions of dollars into a factory. You don’t need to have a huge warehouse to store your product, you don’t need to do any shipping, billing or any of the hard work… Best of all, you don’t have any of the stresses. Labor or union stress, equipment break down stress. Stress from of worrying if your product will be a hit or a flop. All you have to do is connect someone who needs something with someone who has that thing. Of course, you have to learn how to recognize what those 4B people are searching for. It’s easy to sign up as an affiliate for a shoe manufacturer. But, what if people aren’t really looking for shoes on line? That would be like having a surf board shop in the desert. You need to learn how to notice what people are looking for on line and then learn how to put that commodity right under their nose. Like the surf shop on the north shore!!! (or the hot dog stand right outside the night club). That’s where Wealthy Affiliate comes in. 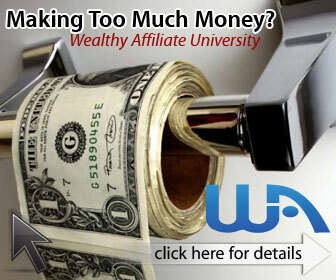 Wealthy Affiliate is an all in one platform where you can go and (for free) learn all you need to learn about affiliate marketing. They will teach you how to recognize online buying trends. You can learn how to capitalize on these trends by affiliating with manufacturers or suppliers. Wealthy Affiliate will teach you how to develop an offer and how to dangle that offer right under the noses of the people looking for it! The tools and training are second to none in the industry. Don’t get me wrong, there is work that you have to put in but the process is laid out in an easy to understand, logical way that is easy to apply. Like any business however, you have to be serious. You must commit to being successful. You can learn how to make money online and you can make money! Lots of money if that is what you decide to do. Four Billion People Need Your Help. What else do these 4B people need? Socks, underwear, outerwear, toys, books, shampoo, household items, fuzzy dice for the car mirror… 4,000,000,00 people need all kinds of stuff!!! OMG! (insert your name here)mart could be way bigger than Macy’s or Walmart with very little investment or risk. Through Affiliate Marketing you have a way to help these people. At the same time you receive a fair compensation. Affiliate marketing is a difficult endeavor, yes, there is a learning curve and you must be able to commit time and energy to setting up your business. With the help of Wealthy Affiliate, you could be earning a full time wage in only part-time hours. 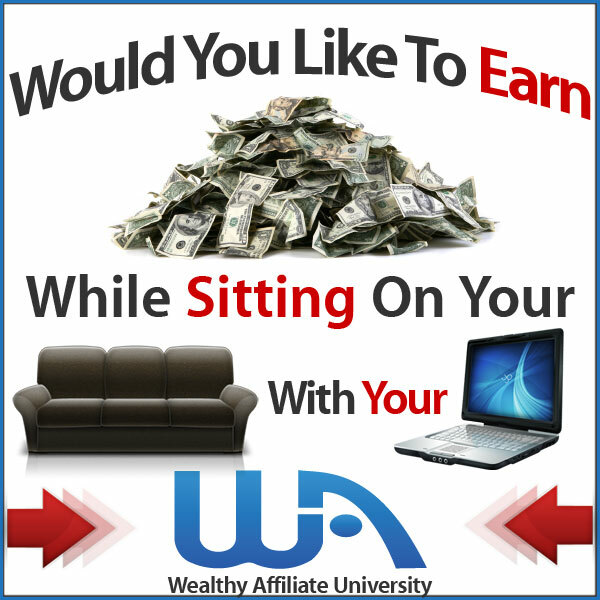 If you would like more information on Wealthy Affiliate you can learn more here! Please leave a comment below if you would like more information or have any questions or concerns. I would like to know more is there a brochure you could send me? Thanks for the comment Andy… Look around the site, way better than a brochure!